POP takes advantage of the Sports Performance Platform, a Microsoft Garage Project, aka SPP, to aggregate data from multiple data sources (e.g. 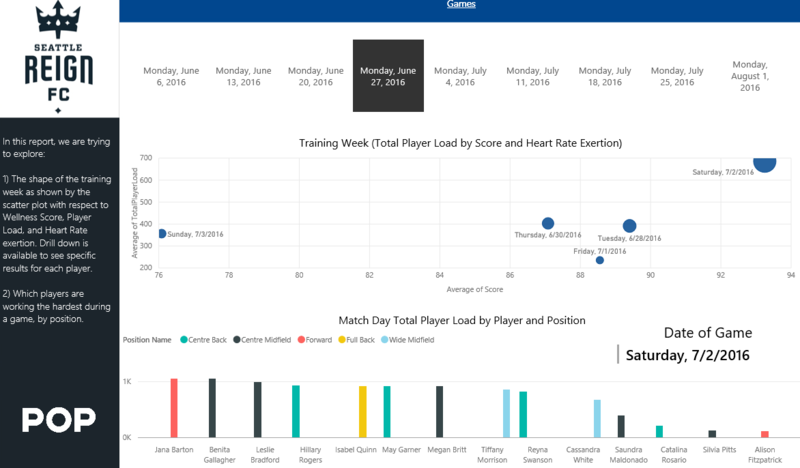 local files, APIs) to customize a visual dashboard that explores team and athlete trends around work performed during practice and games as well as health/wellness. POP takes advantage of the Sports Performance Platform to aggregate data from multiple data sources (e.g. 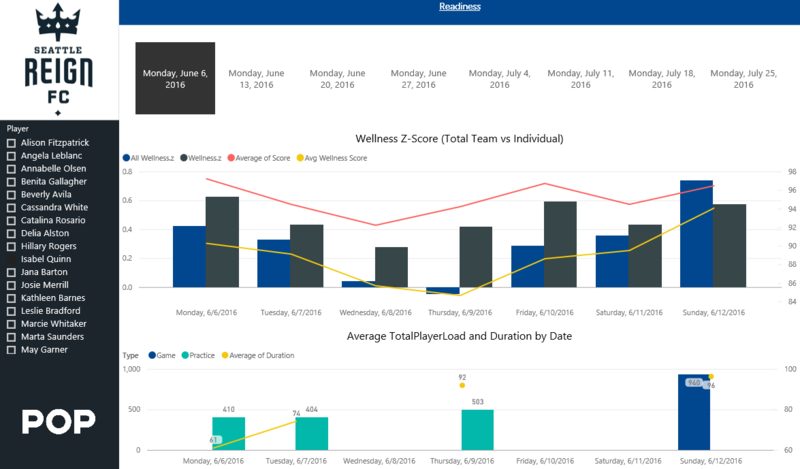 local files, APIs) to customize a visual dashboard that explores team and athlete trends around work performed during practice and games as well as health/wellness. 1. Aggregates other data sources to give a consolidated view from training to game day. Sports teams are investing in IoT devices and Athlete Management Systems that generate a broad-spectrum of data about their athletes. The problem is that these systems aren't well-connected, creating a disaparate experience. On top of that, the volume of data is continually increasing, making it imperative that teams invest in cloud-based infrastructure for storage, reporting, and advanced analytics. Teams would like something out-of-the-box to get them started with sports analytics, but they also require flexibility to adapt to the ever-changing landscape of competition. 1. How hard did my players work today? 2. How much capacity do my players have to do work? 3. What did the training week look like leading up to game day? By answering these questions, teams can design training sessions to maximize athletes' output towards the end goal of winning. The Sports Performance Platform uses a mixture of SSIS, Azure Data Factory, and custom code to load data from different data types into an Azure SQL database. 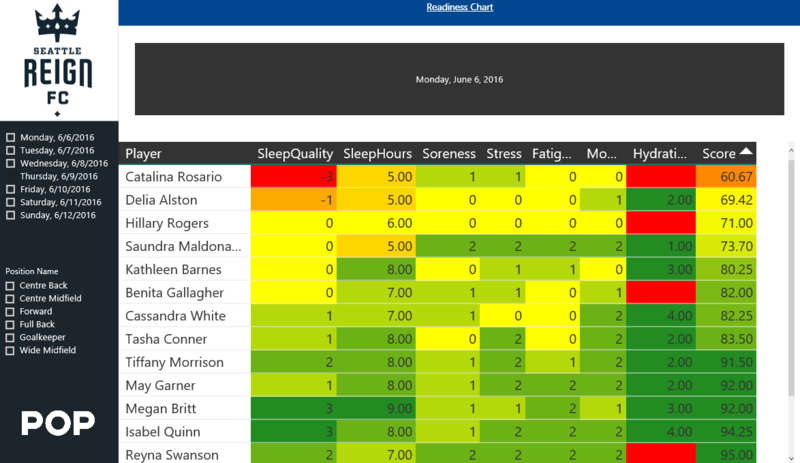 POP utilizes that to build a relational database that PowerBI can connect to for rich reporting.